We’ve returned from a quick trip to San Diego, where we stuffed ourselves with incredible Mexican food on every corner. You would think I’d be sick of it, but it made me crave it even more. As soon as we got back, I decided I needed to make pazole. A dear friend introduced it to me a few years ago, and I thought it was delicious. Plus you can’t go wrong with hot soup in January, right? My first attempt turned out better than expected, so I’m sharing it with you today. 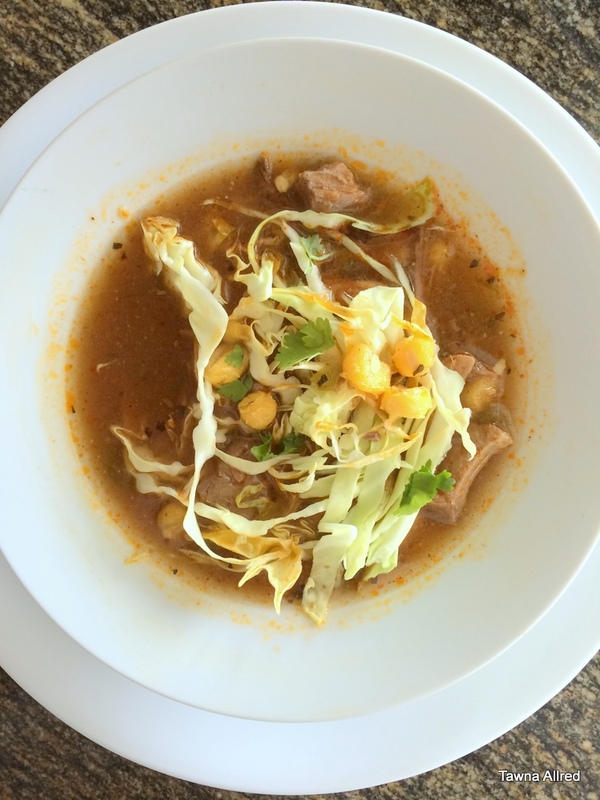 If you have made pazole, I would love to hear your version. I think the variations are interesting. If you’ve never had it before, put it on your menu this week. This recipe is extremely easy to make, because it is all done in a slow cooker. Stir everything together in your slow cooker until heated through. Make sure the peanut butter is dissolved. Serve with your favorite garnishes.